This week's SampleRadar collection isn't easy to stylistically pin down. But given that it takes inspiration from from US genre-hopper Flying Lotus, that's hardly surprising. Let's just settle for saying that if you're keen to get your glitchy LA hip-hop vibe on, this is a good place to start. The samples are split into three folders, each of which is tempo-labelled and contains bass, beat and synth loops. 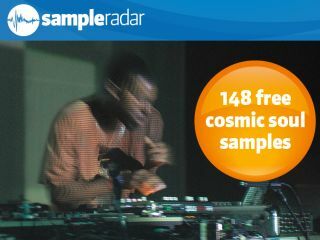 The cosmic soul samples are supplied in a zip file, so you'll need to extract them before you can see them. Enjoy!